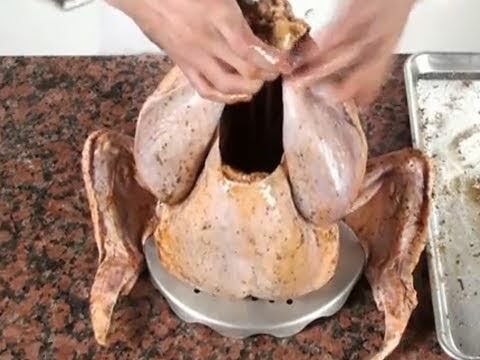 Turn your regular stock pot into a turkey fryer! This Bayou Classic Turkey Fryer and Poultry Rack set includes a perforated poultry rack and a grab hook. Also included is a 12 inch stainless steel thermometer, a 2 oz seasoning injector with stainless needle, and 3 piece detachable skewer set. This poultry rack will accommodate one turkey or up to three chickens. This a great addition to any turkey fryer pot & stand. Having more than one is a must. When you are frying more than one turkey or chicken, you must have more than one accessory kit. I am very pleased with my kits and their quality.